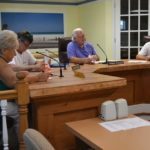 The Anna Maria City Commission voted unanimously to accept the mayorʼs proposed budget for the 2016-17 fiscal year Sept. 21in a brief, six-minute meeting. No public comment was offered as commissioners worked briskly through the approval process. The millage rate was set at 2.05 for the coming year, unchanged from last year. Property owners will see a 9.84 percent tax increase from the city as a result. Budgeted expenses and revenue for the coming year are increased by 5 percent to $4,738,514 from $4,498,858. 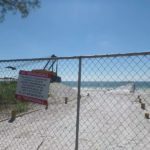 The city has allocated a new $250,000 line item for refurbishment of the city pier, a $2 million expense in total that the city hopes will be supplemented by other sources and grants from the county and state. Road maintenance spending of $340,593 has been allocated in the budget. 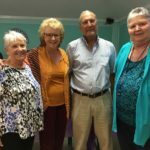 Road improvements are something Anna Maria Mayor Dan Murphy has said he intends to prioritize throughout the two years of his second term in office. He allocated $465,431 in stormwater utility improvement projects, up from $318,000, another major project for the city he promised to prioritize. City employees will receive a 3 percent raise with the new budget. Although legal fees rose unexpectedly for the 2015-16 fiscal year due to an unexpected influx of Bert Harris claims, the mayor expects claims to drop off in the coming fiscal year and has kept the attorneyʼs fees relatively low for the 2016-17 fiscal year, at $276,980, down from $315,000 and $332,000 projected for the end of the current fiscal year. The budget goes into effect Oct. 1 at the start of the new fiscal year.